The volume contains a paper by Sascha Bargmann & Manfred Sailer on The syntactic flexibility of semantically non-decomposable idioms. 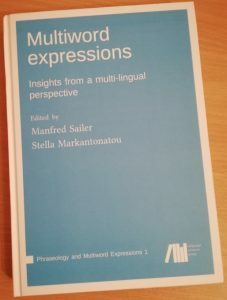 In this chapter, Sascha and Manfred motivate a lexical analysis even for semantically non-decomposable idioms such as kick the bucket `die’ and its German equivalent den Löffel abgeben `die’ (lit. : `pass on the spoon’). They derive the restricted syntactic flexibility from the semantics associated with the individual words constituting the idiom and from general constraint on the relevant syntactic constructions, in particular passive and fronting. 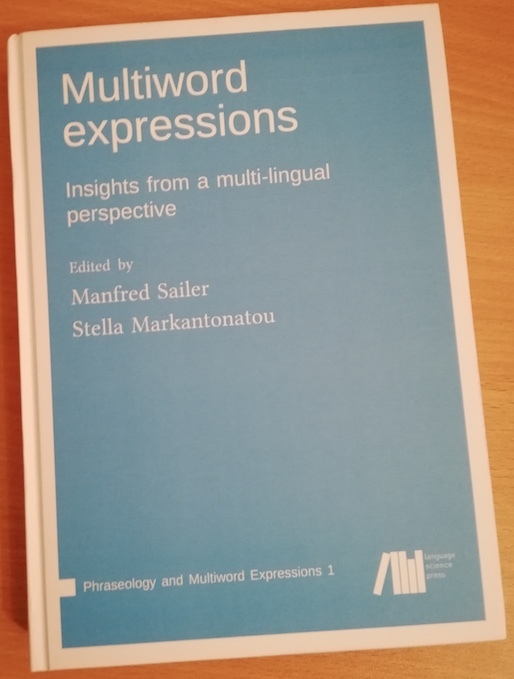 The book is at the same time the first volume of the series Phraseology and Multiword Expressions. There are currently three more volumes in preparation for this series. Previous PostAdditional course Summer Term 2018Next PostJamie Findlay in Frankfurt!